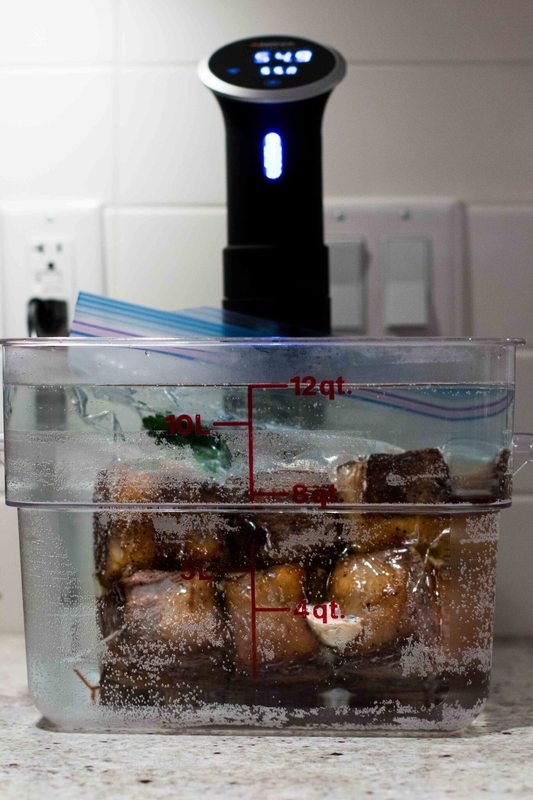 I love to cook sous vide, the high tech alternative to braising, and tough cuts of meat (like beef short-ribs) is where sous vide cooking really shines. 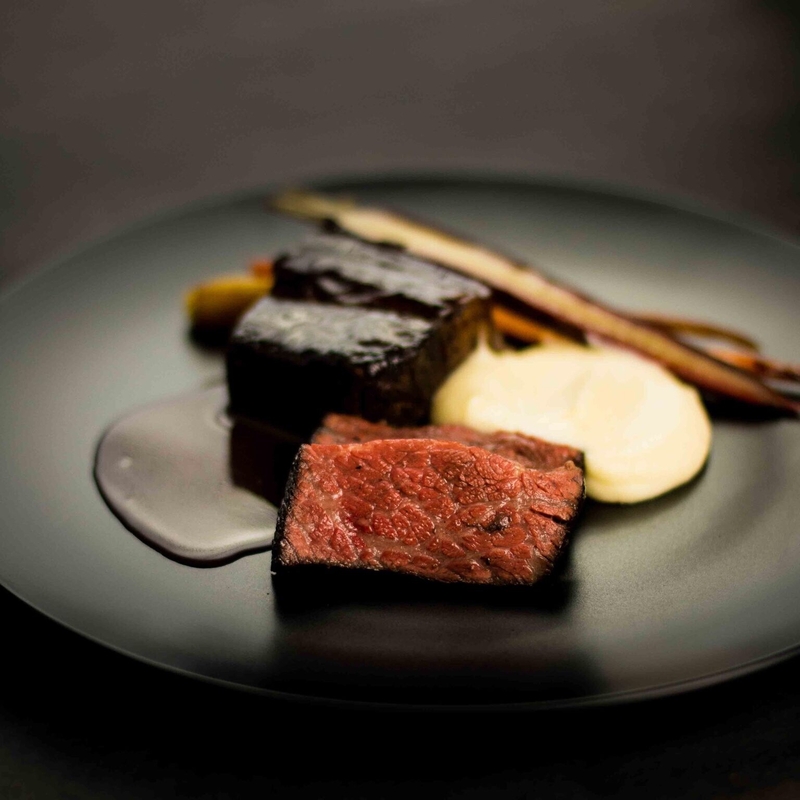 Beef short ribs with a red wine reduction is sure to impress and is easy to make ahead of time, making this the perfect dish to serve at your next dinner party. 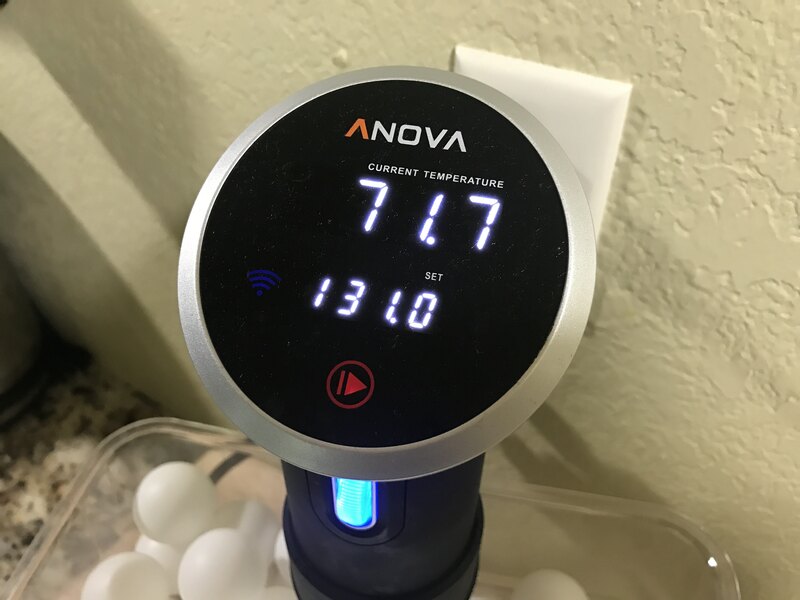 Set Anova Sous Vide Precision Cooker to 131°F / 55°C. 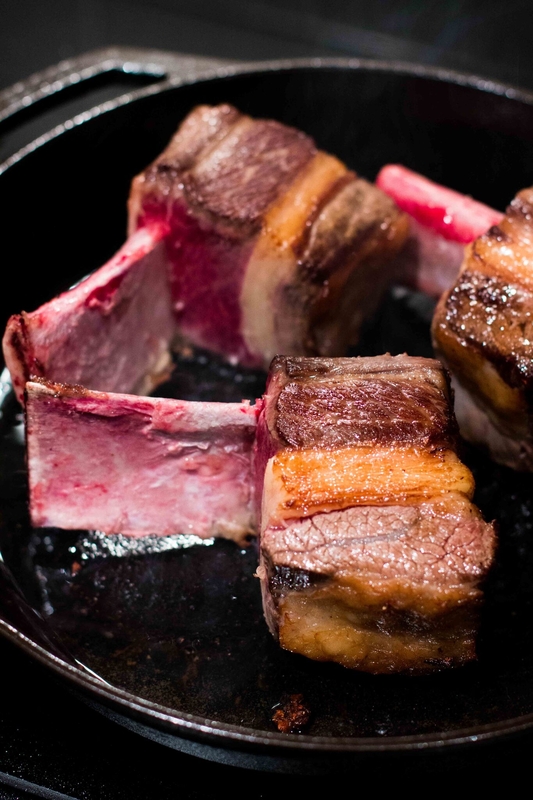 Trim the excess fat from the short-ribs and sprinkle the short-ribs liberally with salt. Heat a cast iron pan on medium until it is smoking. Add oil to the pan and sear the ribs on all sides until golden brown. 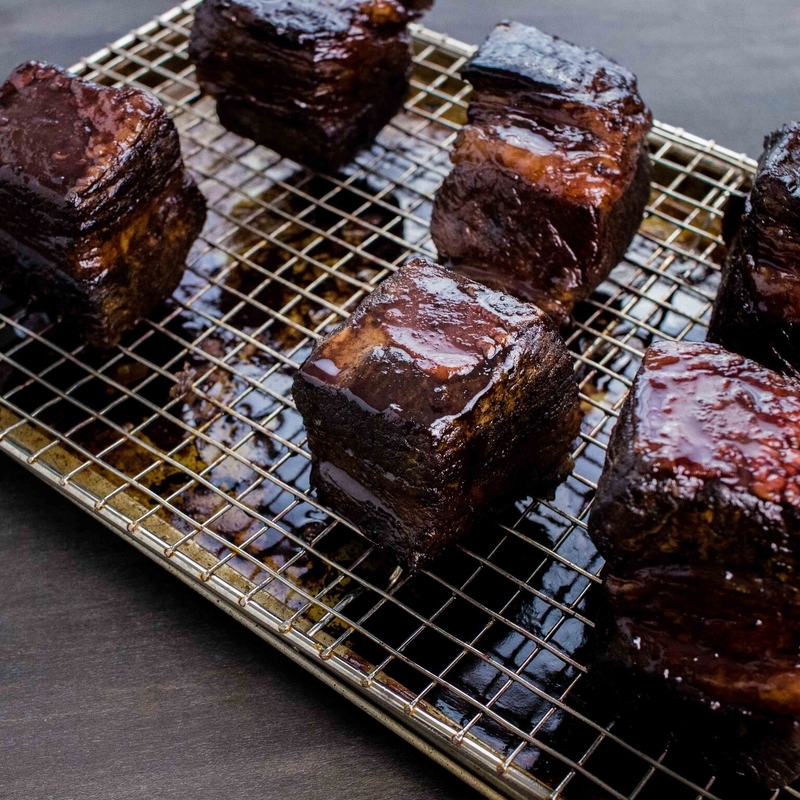 After searing give the short ribs a generous crack of black pepper and place into the ziploc or vacuum bag. Add garlic, herbs, and 1 tbsp of butter to the bag. 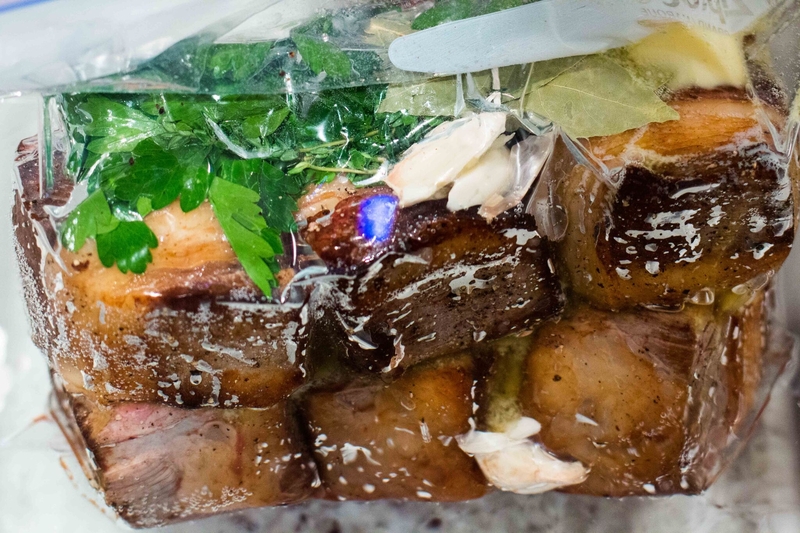 Place into the water bath and sous vide for 48 hours. 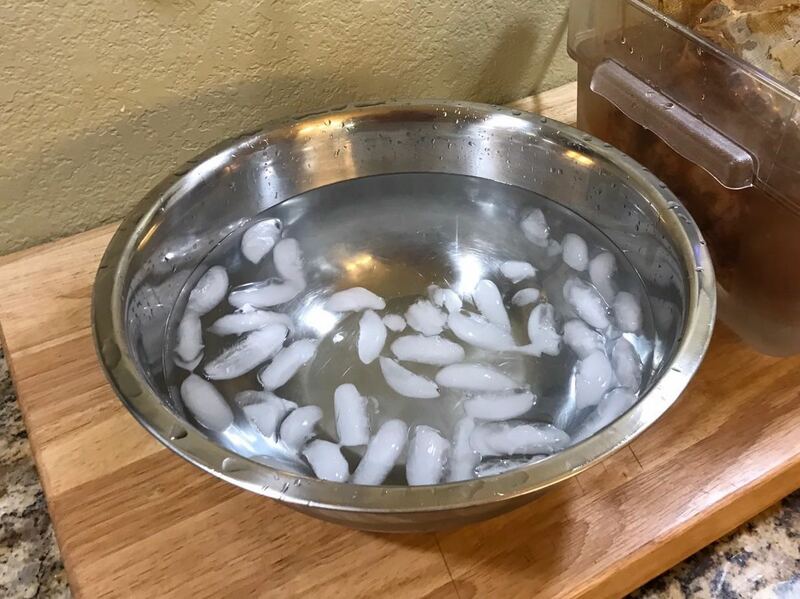 After time as elapsed, remove the bag from the water bath and place in large bowl of ice water. 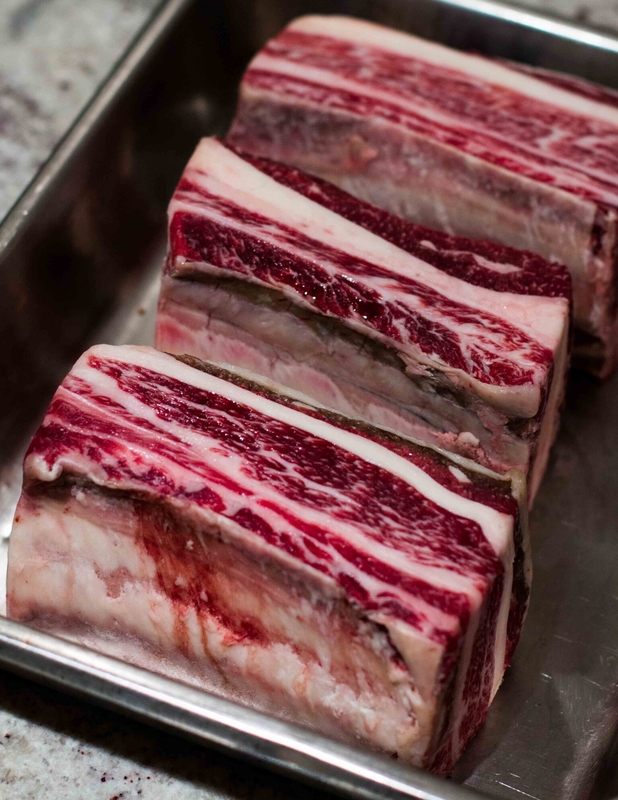 At this point you can refrigerate the ribs until you are ready to serve, up to 4 days. Add olive oil to the pan used to sear the ribs. Dice the shallot and sauté until soft. Deglaze the pan with the wine and add the beef stock. Add the sugar, bay leaf, peppercorns, and star anise to the pan and reduce by 1/4. 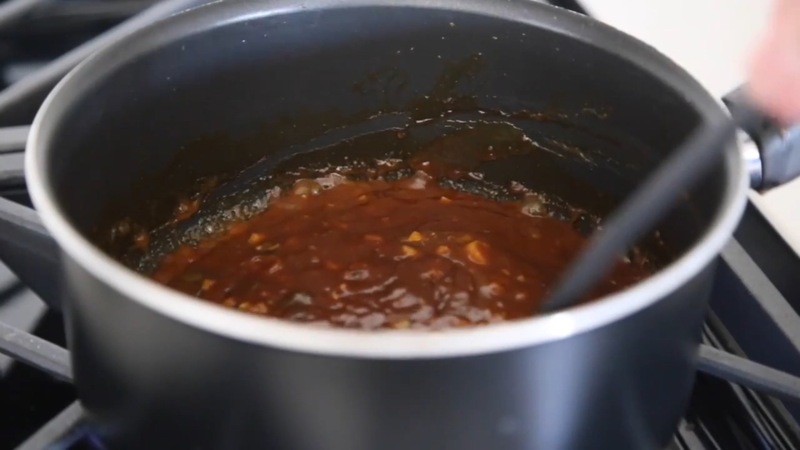 Strain the solids out of the mixture, return to pot and continue to reduce until 3/4 of the liquid is gone. Whisk in the xanthan gum (optional) and and the butter. Continue whisking until smooth and the fat from the butter has emulsified into the sauce. Adjust the seasoning with salt and sugar. Set aside. An hour before dinner, preheat the oven to 225°F / 107°C, remove the ribs from the bag and pat dry with paper towels. Place the ribs on a rack on a sheet tray and glaze with sauce. Place into the oven to gently heat up, glazing them every 10 minutes until the internal temperature of the ribs reach 131°F/55°C. Serve short ribs with sauce, and your choice of sides. Pairs perfect with a mashed potato and veggie!